Goal: Set up and run traffic to a DSLAM system as shown in the CT570 product description. Please refer to the diagram in the CT570 link above. In this test scenario, the LANforge-FIRE Core is one interface on a LANforge system. The LANforge-FIRE Edge is another interface on the same LANforge system. The LF Core interface is connected to the upstream DSLAM interface either directly or through a switch. 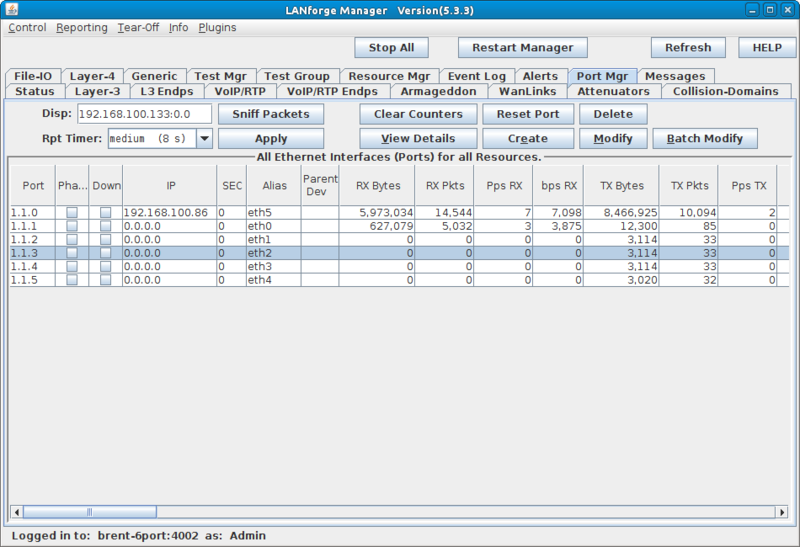 The CPEs are connected to a multi-port VLAN switch which has a VLAN trunk that is connected to the LF Edge. Traffic is sent between the LF Core and the LF Edge to achieve end-to-end network traffic testing of the DSLAM system. 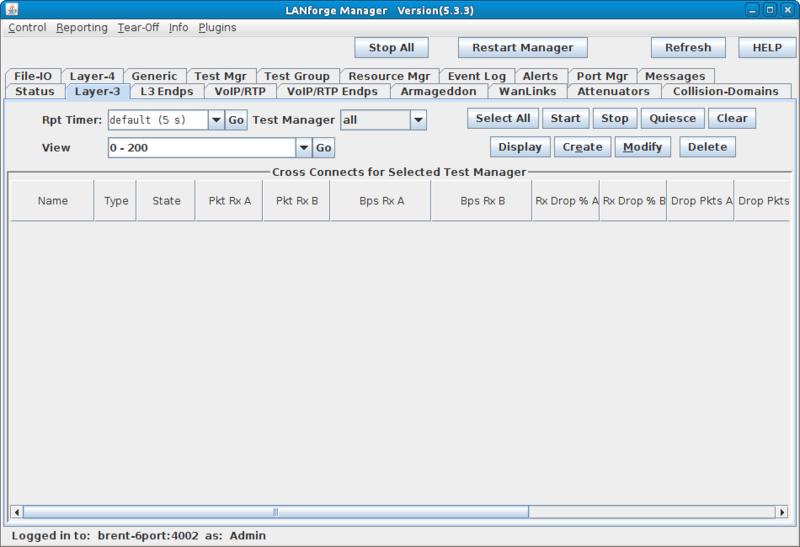 Connect one LANforge-FIRE interface to the DSLAM upstream internet connection. This is the LF Core part of the diagram mentioned above. 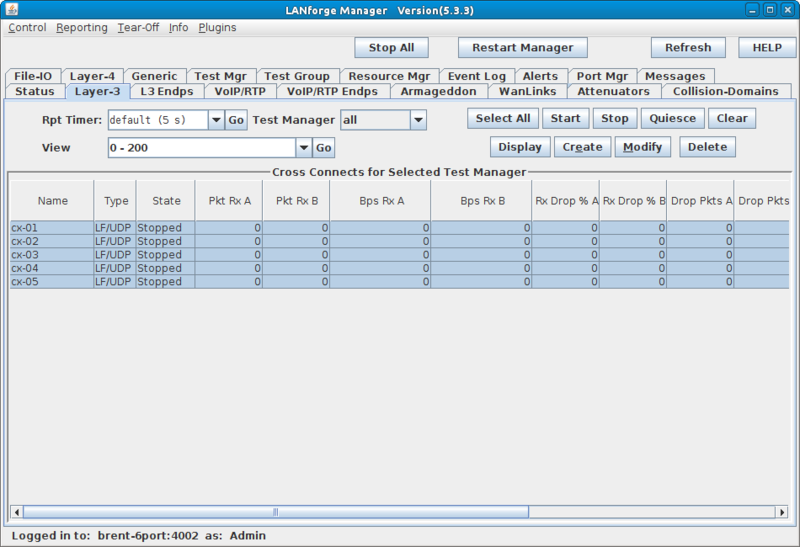 Set up the LANforge port so that it has a valid IP address and IP mask. Modify the port connected to the DSLAM. 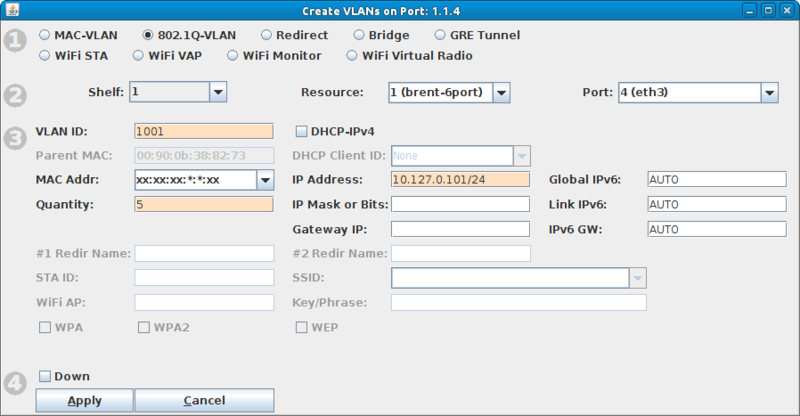 Set a valid network IP address and IP mask. On the Port Mgr tab, select the port that will connect to the multi-port switch and will also be your VLAN trunk. This is the LF Edge part of the diagram. You can make the TX/RX rates asymmetric for the connection to simulate how the connection would be used in a real-world scenario. 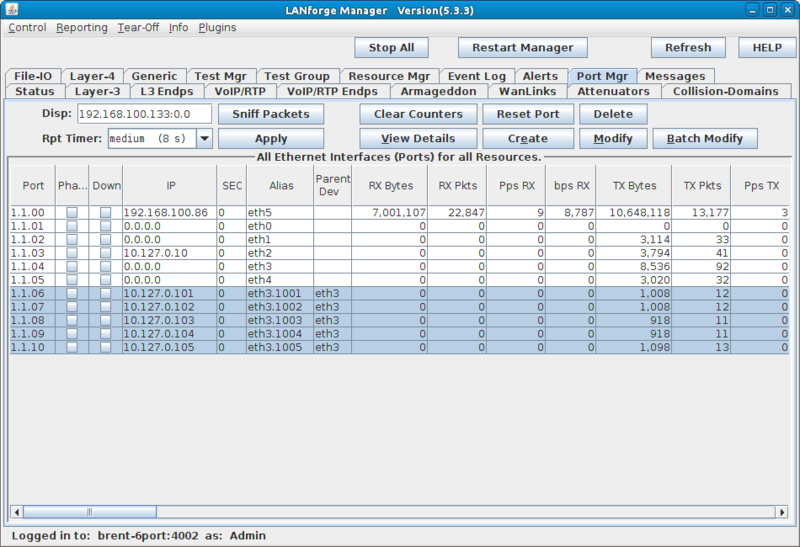 Here we have about 5Mbps downstream (DSLAM to CPE) and 1Mbps upstream (CPE to DSLAM). 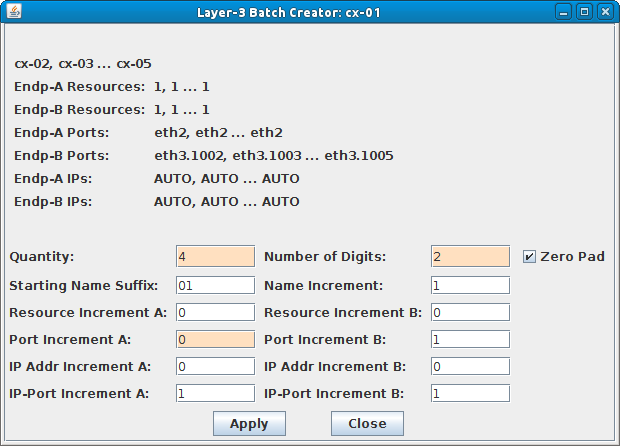 Click Batch-Create (located in the Layer-3 connection's Create/Modify window) to create four additional connections. 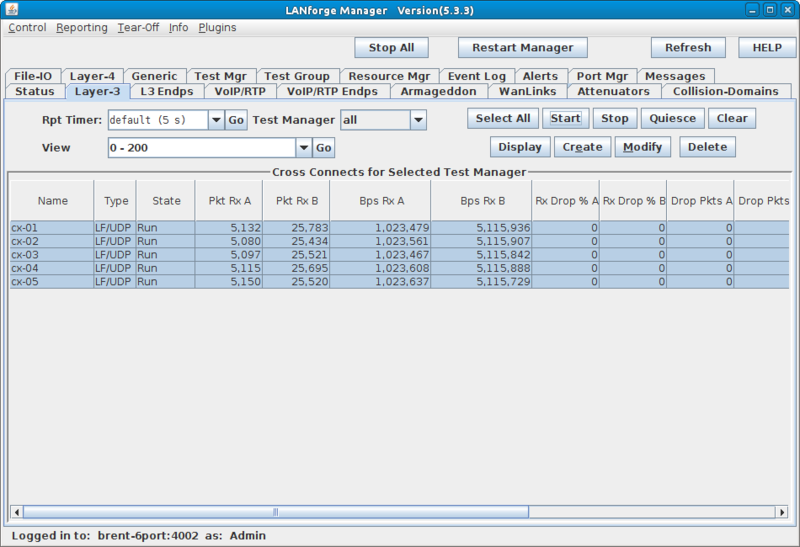 Set Quantity to 4, Port Increment A to 0.